QTAssistant provides the ability to convert a COBOL copybook (containing data description etnries) into an XML Schema. The tool uses the XML metadata generated from the source copybook, to generate an equivalent XSD. An 88 record level is converted into an xsd:enumeration facet. The generated XML file is shown below. 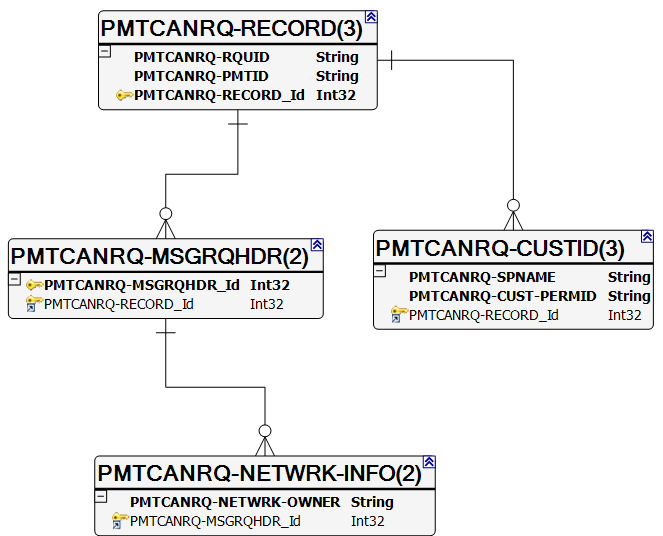 QTAssistant provides the ability to generate a relational model from an XSD. The "compactness" of the model depends on the tool used. The .NET built in conversion to a dataset generates a layout based on how many complex types are present in the XSD. 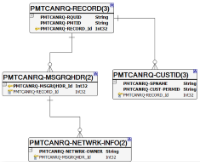 The XML Builder mapper creates a model based on the cardinality of the relationship between a parent and its children nodes, as well as whether choices are used or not.